Pixar have become their own worst enemy. While other animation studios are slowly playing catch-up, Pixar have made themselves the industry leaders and created a brand which has become synonymous with the best animated films Hollywood can offer. This means audiences go into their movies expecting something magical, clever and emotional. Unfortunately, The Good Dinosaur falls short of that mark. 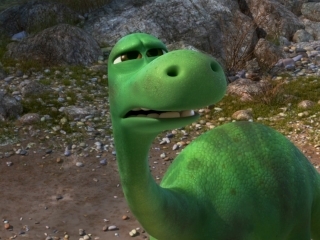 By no means is The Good Dinosaur a bad movie. In fact, if any other studio had produced it they could be proud of what it does and the story it tells. It just doesn’t feel like a Pixar movie. It doesn’t feel special enough. For starters, the story if really generic. A dinosaur who is scared of his surroundings and afraid of leaving the comfort of his home gets swept down river and must find his way back. Any audience who has seen at least a handful of animated movies will know where this is going next, with courage playing a large part in his journey home. This is still done very well and within this generic story, there some magic Pixar moments. For example, the titular dinosaur’s journey comes across many varied characters, from cowboy/T-Rex crossovers (voiced by a perfectly cast Jeff Bridges) and some crazed Pterodactyls who offer one of the scarier moments of the movie. 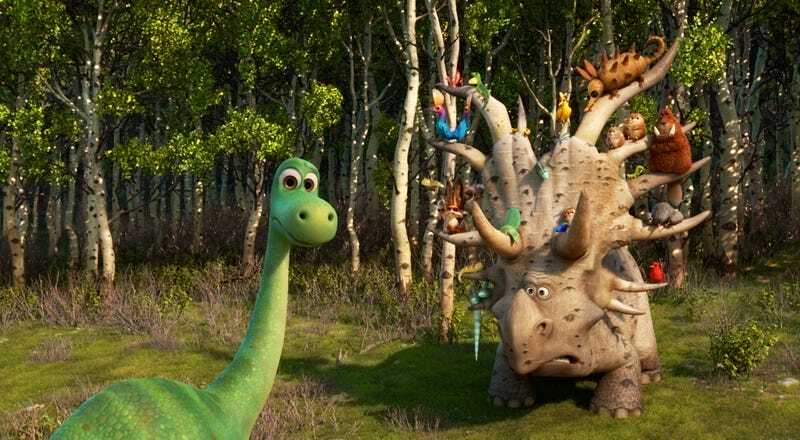 The best addition is Spot though, the human boy who acts as the dinosaur’s guide. Spot is supposed to be the earliest type of human and it is a nice touch to reverse the roles of the beast and the man. It feels like a Pixar storytelling device and some moments work particularly well, especially when Spot defends the dinosaur or the two of them hunt for food with bizarre consequences. This feels like the only Pixar-magic moments though. The rest has been done many times before. There are some attempts at emotion and heartfelt scenes but these don’t have the real intended impact and feel like they are trying slightly too hard. Even the ending, which has a significant moment of it’s own, doesn’t quite feel earned for how much emphasis has been placed upon it. 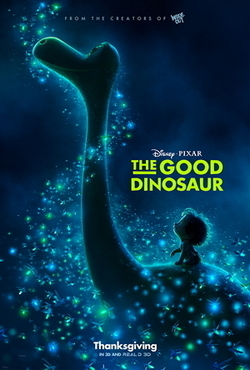 The last element that manages to elevate The Good Dinosaur above the other animated movies of this type is the way it looks. The environments are impressive, from the water effects to the sweeping landscapes that The Good Dinosaur must traverse. It is just a shame that the story which plays out in these locations doesn’t quite match. 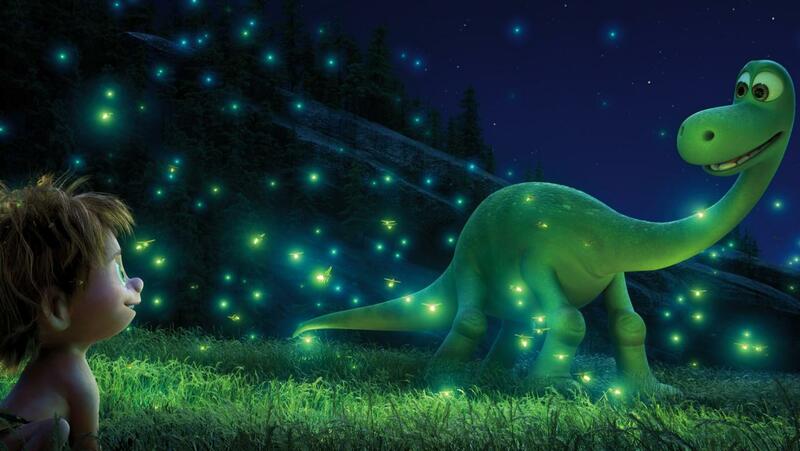 Overall, The Good Dinosaur is a rare miss for Pixar. It isn’t a bad film but is a generic one, which in some ways is worse. There are touches of the Pixar magic but you won’t leave the movie feeling like you’ve seen something special, which is how you want to feel when you walk into a Pixar movie. Good movie and my kids liked it, but I share a lot of the same views you do. I have really liked you blog for some time, that is why I have nominated you for the Mystery Blogger Award. Please head over to my blog to check out the details. Next Next post: Views from the Sofa 2017: The Resolutions!